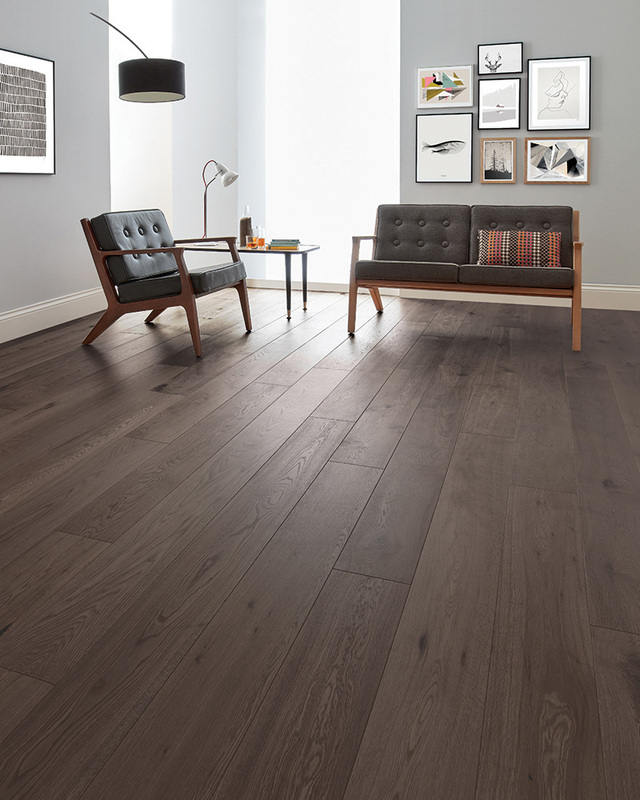 Distinctive flooring has a wide range of wood floors for you to view today. 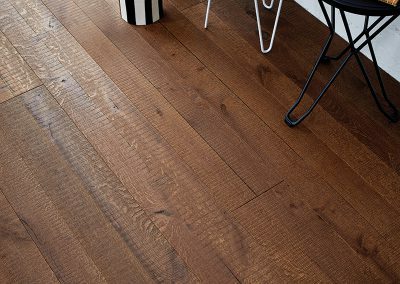 We are specialists in engineered wood and have expert fitters who will do an amazing job for you. 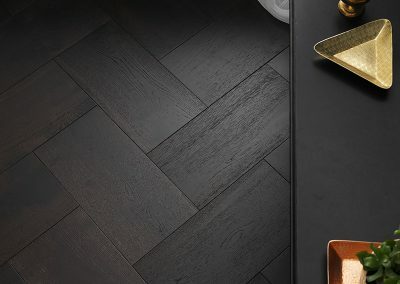 Lots of styles and finishes to choose from. 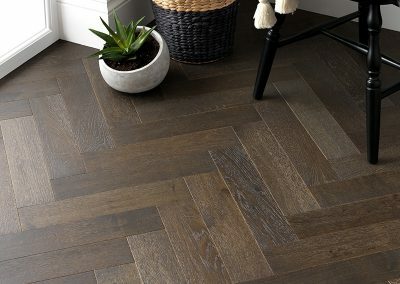 Everything from Oak to Walnut. 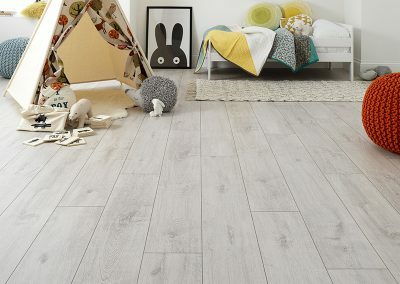 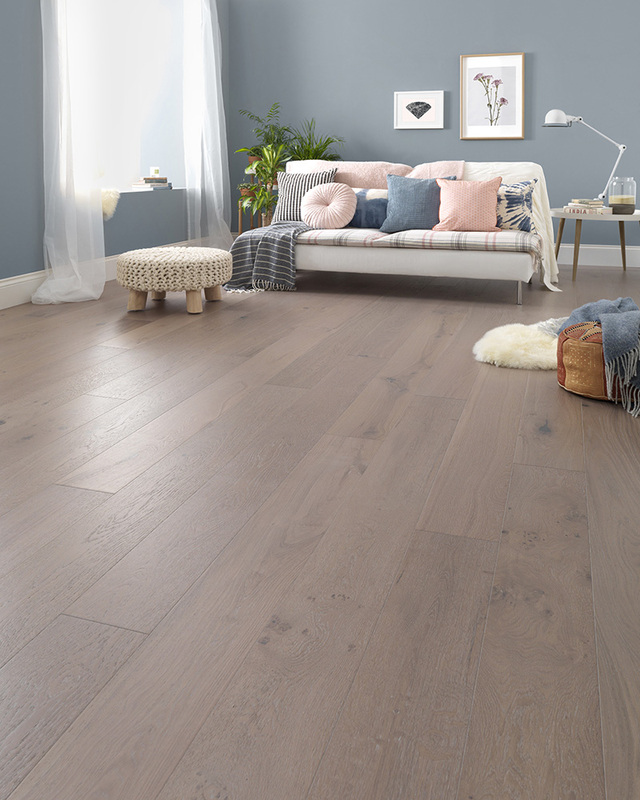 A great way to show off a wood floor in any room is to have it laid straight, this can lengthen your room and give your floor a classic look. 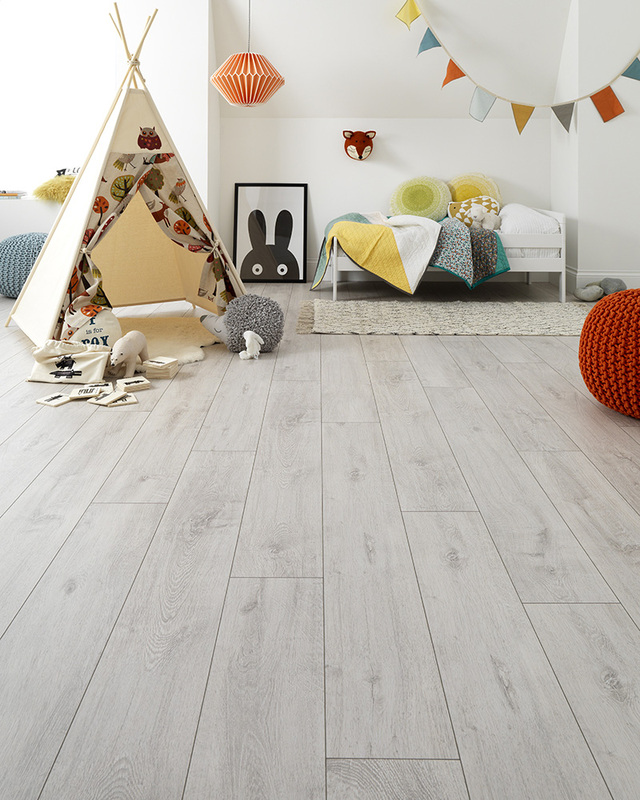 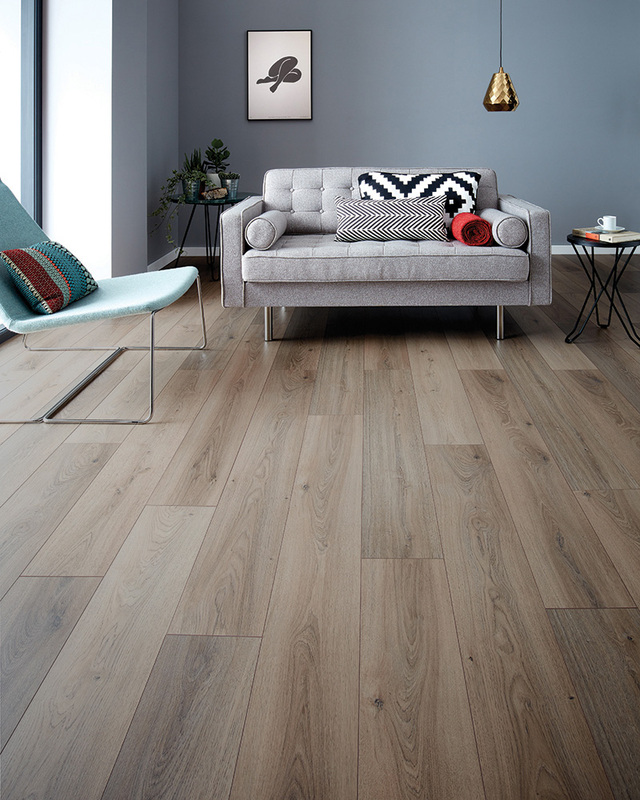 Planks are available in different widths from narrow to wide. 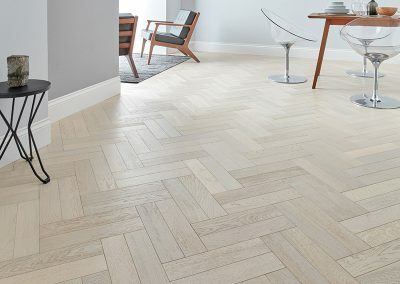 A style that can give your room either a modern or traditional look is herringbone. 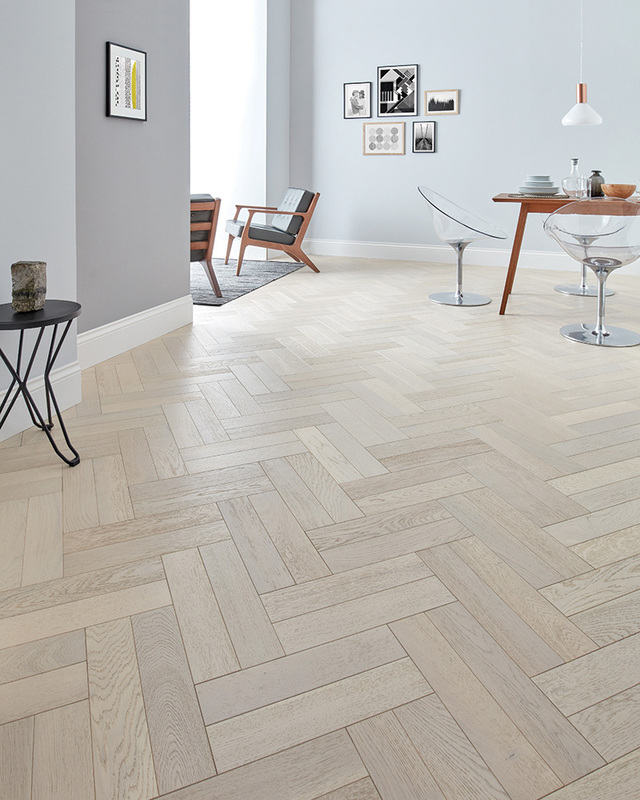 A collection of shorter planks laid in a zig zag pattern which really makes a great feature of your wooden flooring. 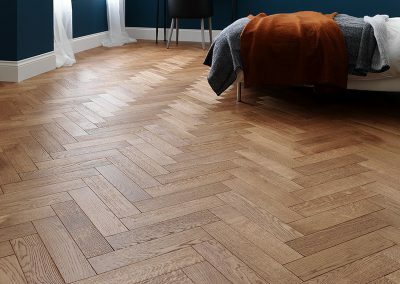 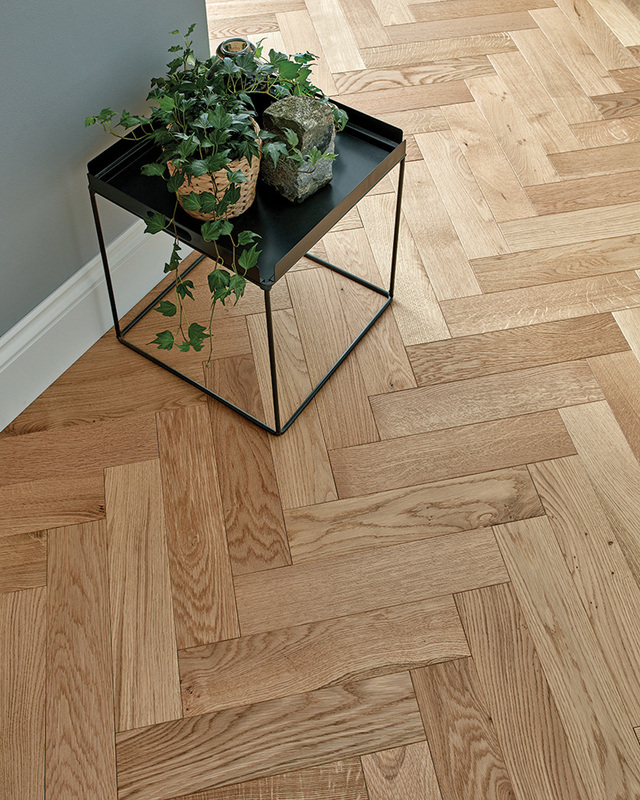 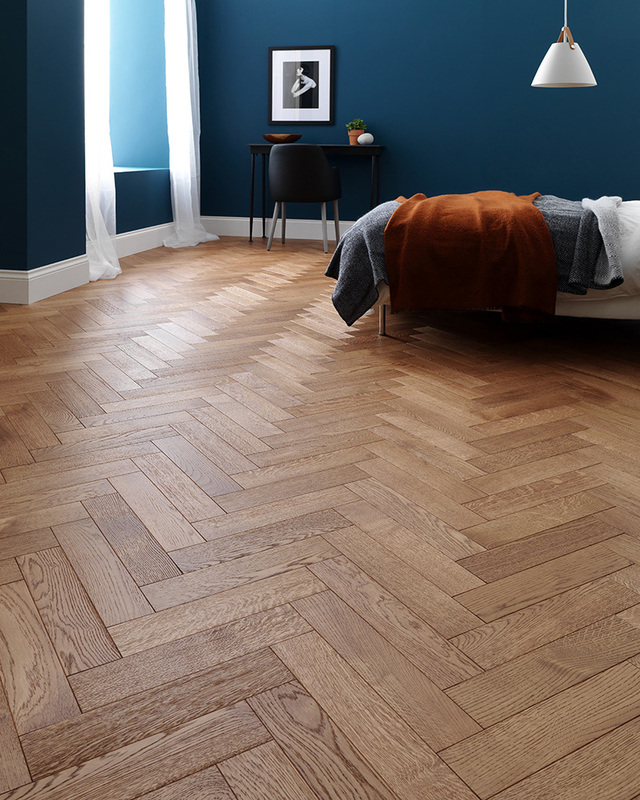 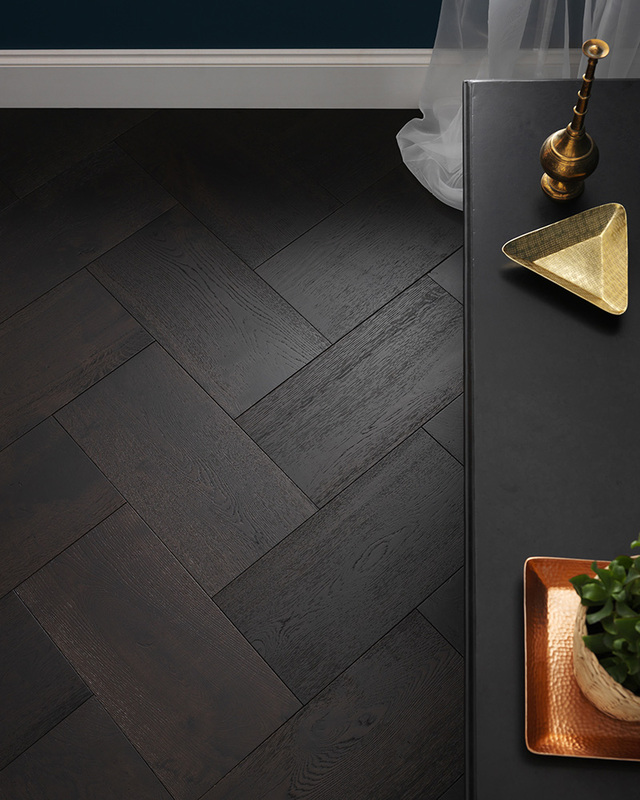 Very similar to the herringbone style but generally using much shorter blocks of wood, Parquet is the ultimate design feature for your wood floor. 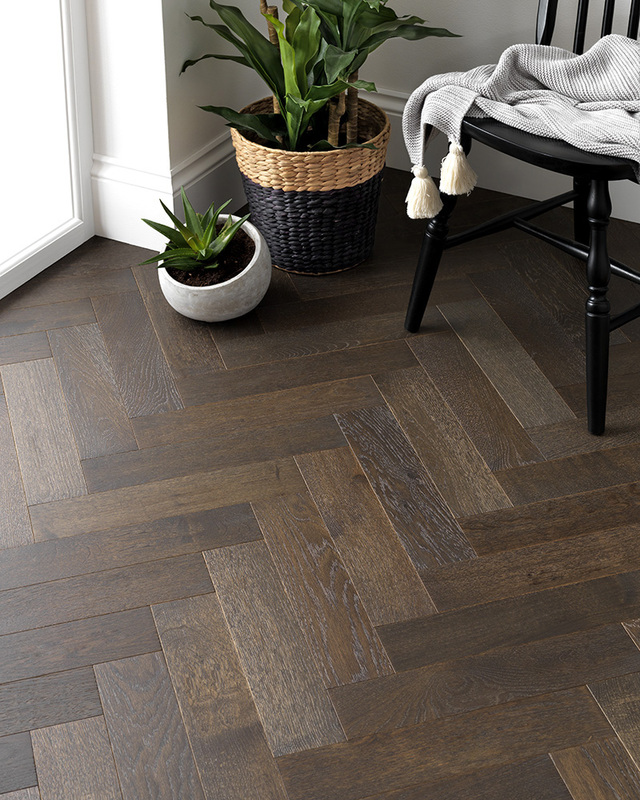 A favourite in hallways, so you can really make an entrance! 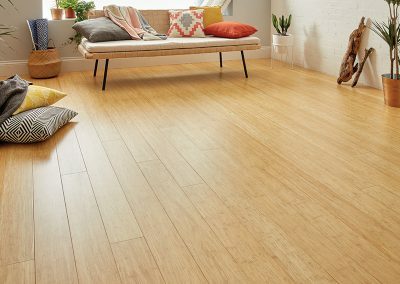 Engineered wood floors are a cheaper alternative to solid hardwood floors. 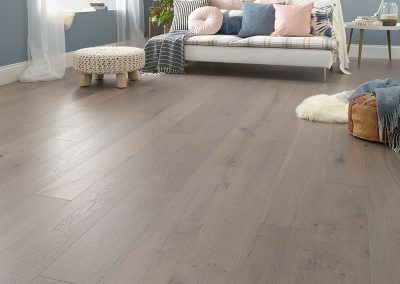 Made up of layers they still have a hardwood layer on top giving you the same look for less and available in many different styles. 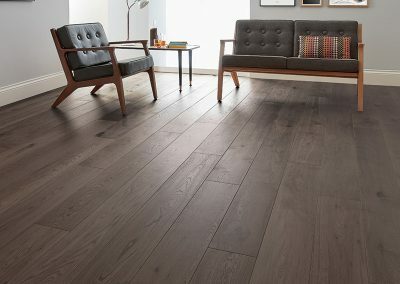 Hard wood floors can be one of the most important design elements in your home. 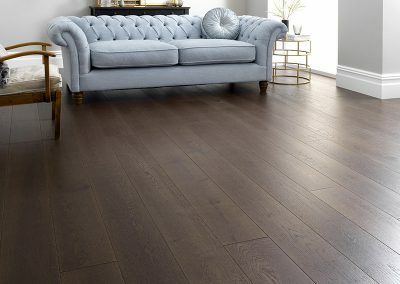 Choosing hardwood flooring will add a warmth and depth that you may not have experience of with carpet or vinyl floors. 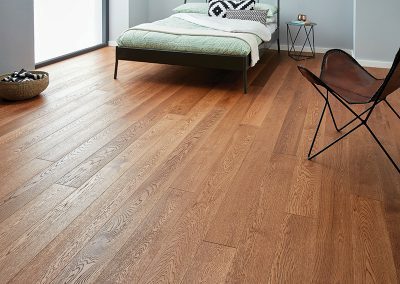 With the wide variety of choices available in today’s market place, have you thought about what the correct wood flooring would be for you? 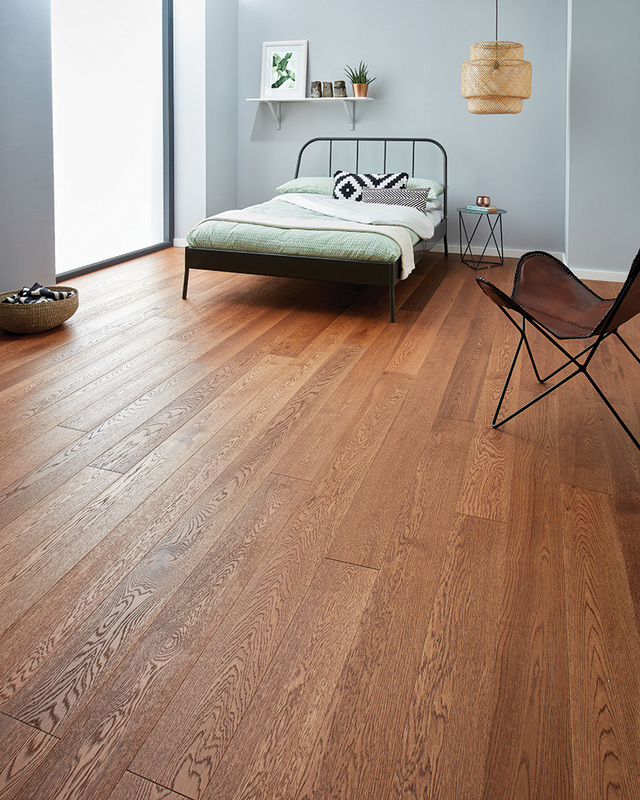 Wood flooring is not only a design choice, but an environmental choice. 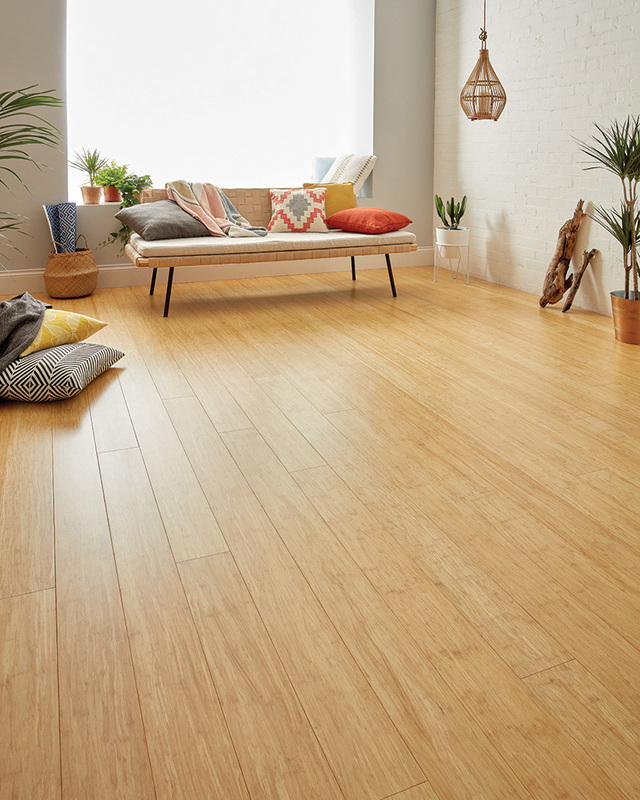 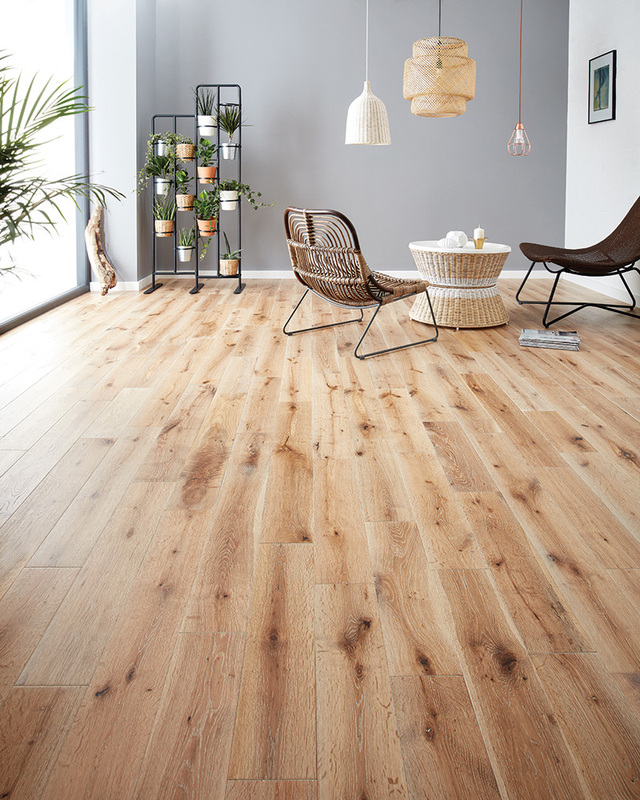 When deciding on the fitting of wood floors, we would advise that you choose a manufacturer who has a sustainable source policy, meaning that the wood is replenished, which in the long term will not harm our environment or planet. 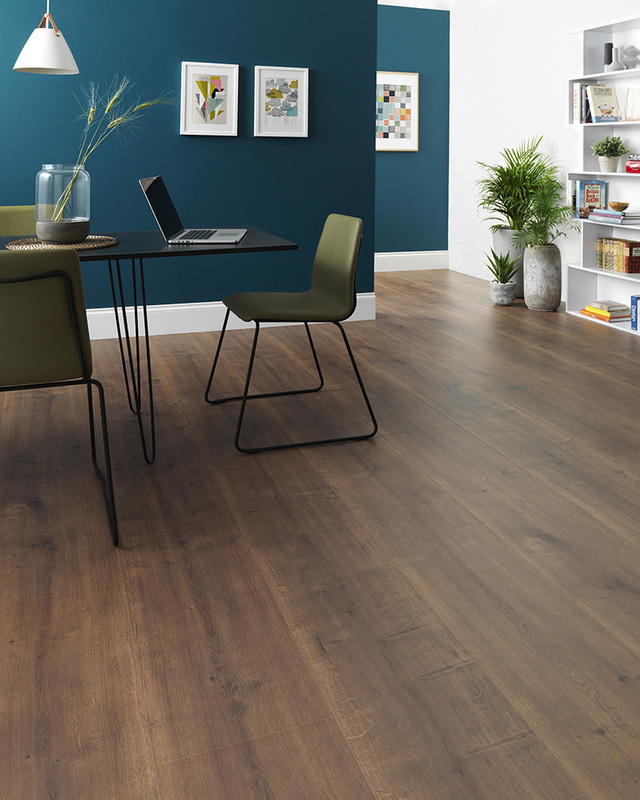 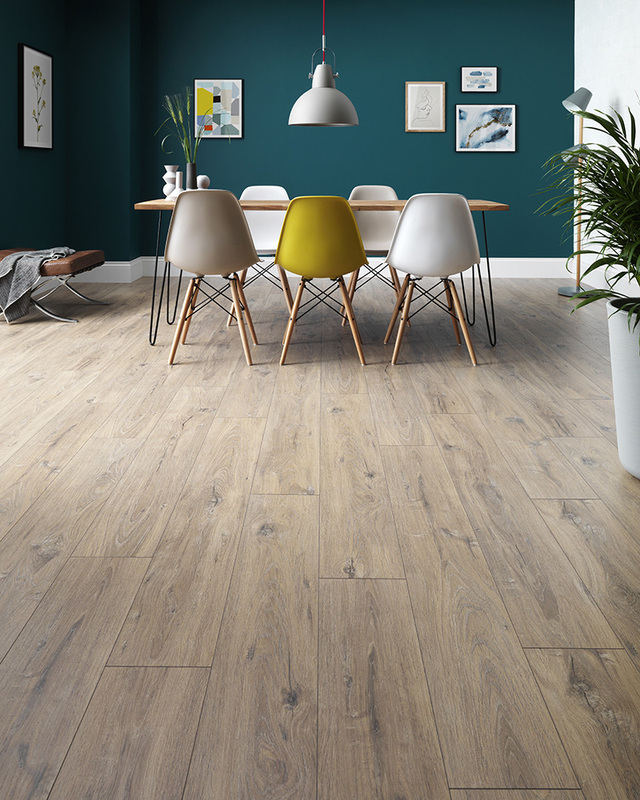 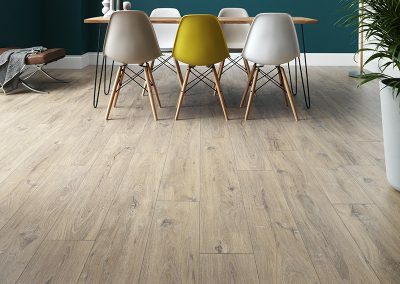 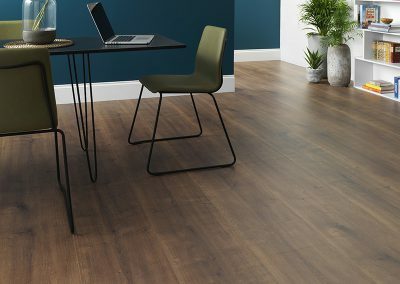 At Distinctive Flooring Doncaster, we choose our manufacturers carefully, to ensure that not only do you get a great looking floor, but that you also get a floor from a sustainable source. 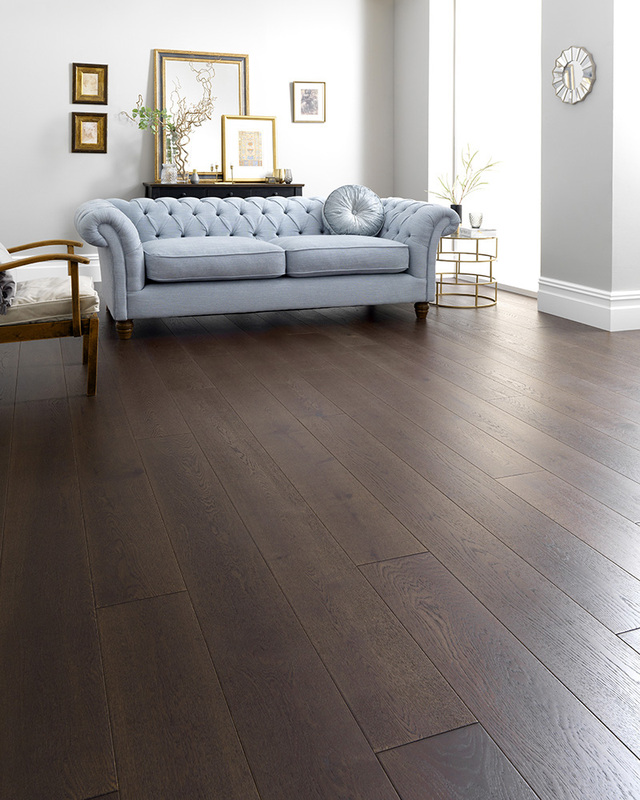 We can supply oak wood floors, walnut wood flooring, beechwood flooring and parquet flooring at our Doncaster flooring store. 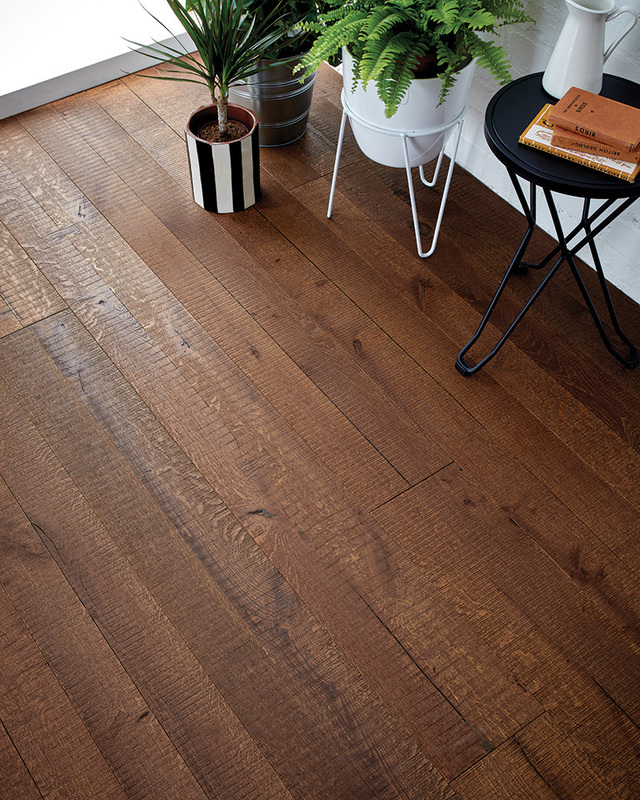 We are specialists in fitting engineered wood flooring. 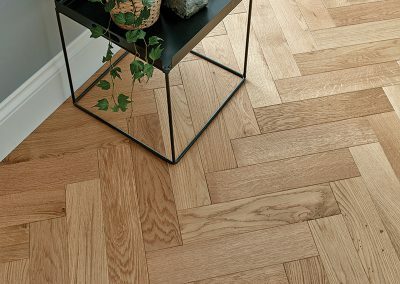 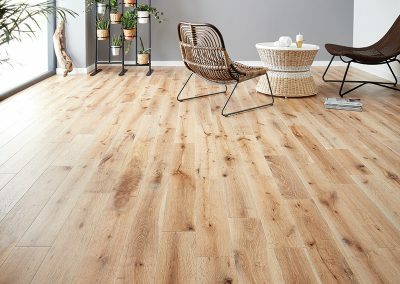 Engineered flooring is a manufacturing process using 100% wood with a mixture of plywood, this gives you the very same finish as solid wood on the surface while keeping the costs down, so if you are working to a strict budget, here at Distinctive Flooring we can find the right type of hardwood flooring to suit your wallet and your home. 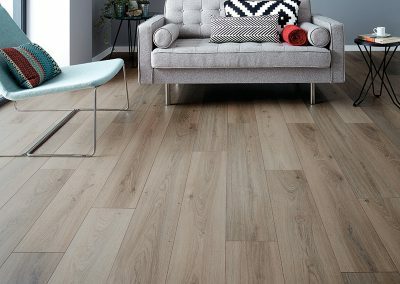 To get some wood flooring ideas, please click on the images below, before visiting our flooring shop in Doncaster.